I took this a few weeks ago but had forgotten about it until today when I found it on my card. 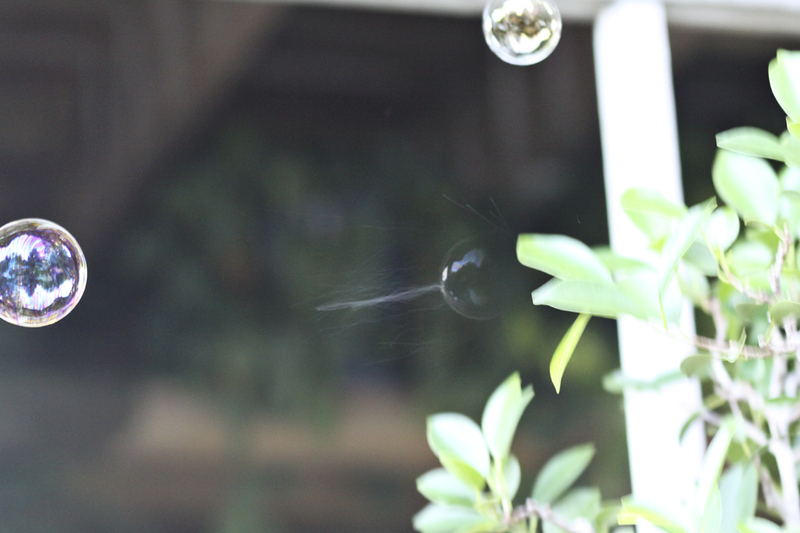 Was having some fun with bubbles but I was blowing the bubbles and taking the pics at the same time. Gotta get hubby to help me out. Notice the bubble that looks like it has a trail coming off it. That bubble had just started to burst and I happened to catch it!